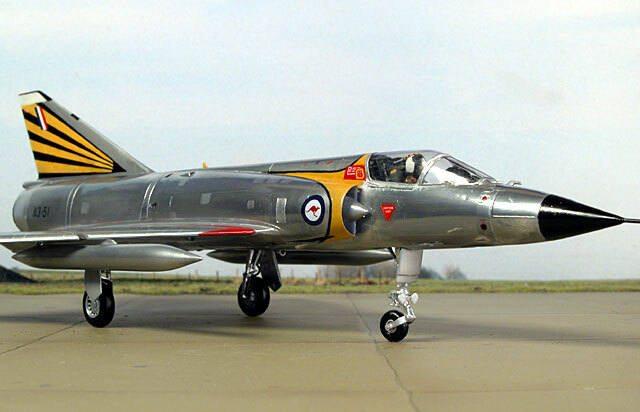 This RAAF Mirage IIIO is in 2OCU colours from 1967/68. 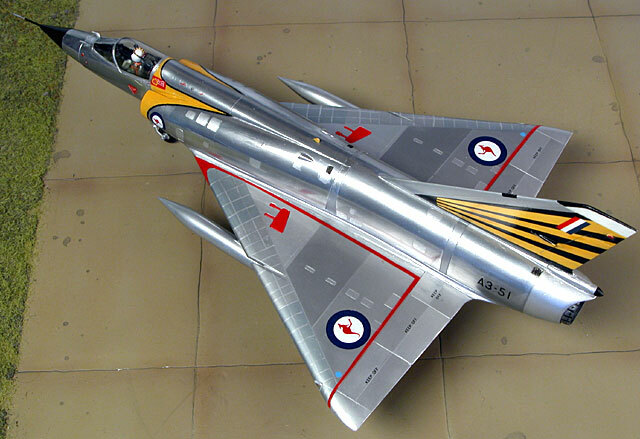 It is the 1/48 scale Heller Mirage IIIC/B kit modified using the Red Roo resin conversion. 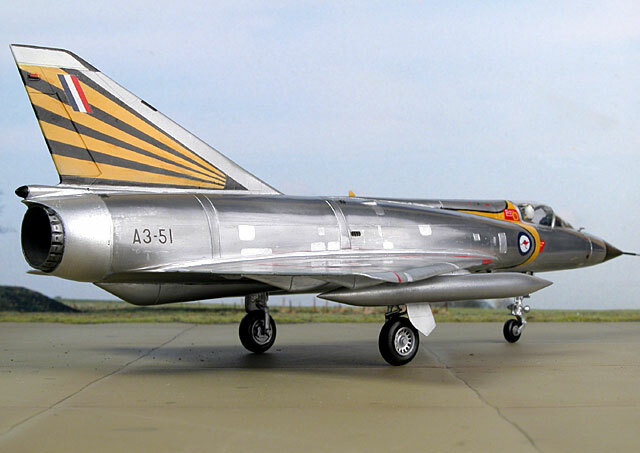 This was not the easiest project, as the resin didn't fit that well and the rear end had numerous pin holes in it that I needed at least four attempts to fill (still didn't get them all out). 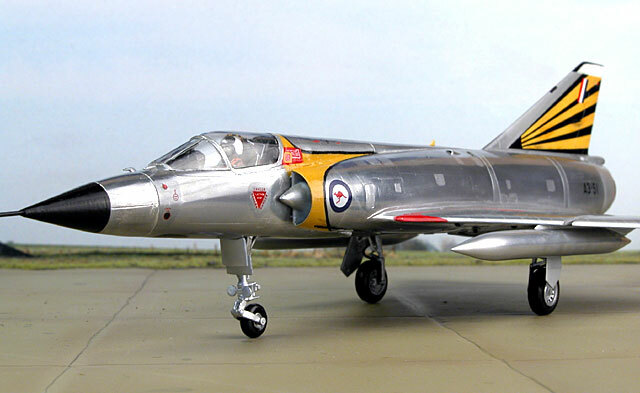 The wheel wells are from an ESCI Mirage kit. A point here is that the main undercarriage is very weak on the Heller kit, so when I fitted hydraulic lines I used lockwire. This added heaps of strength to the main cart and they don't bend under the weight of the model. 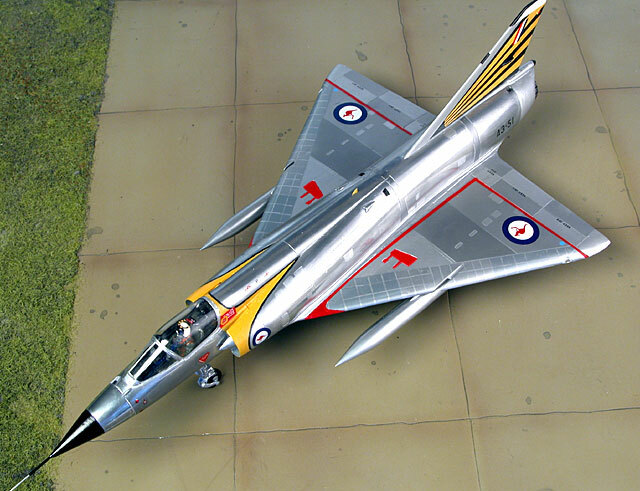 The seat is from the Airfix Lightning kit, modified to look like the OM4 seat fitted to the Aussie Mirages. 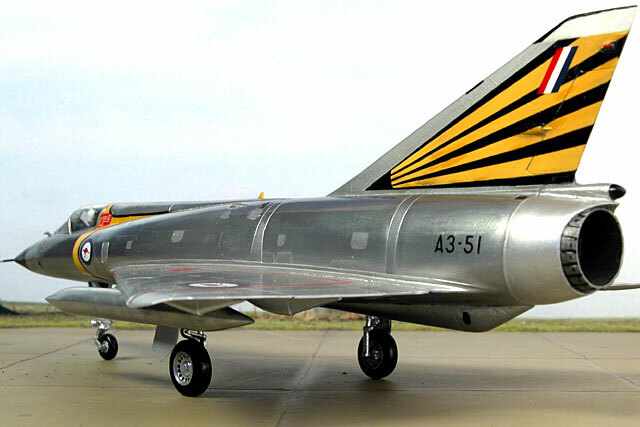 The wings and fin were painted using Testor's Metalizer, and the fuselage was done with SNJ.